4. Now login to your Magento account. 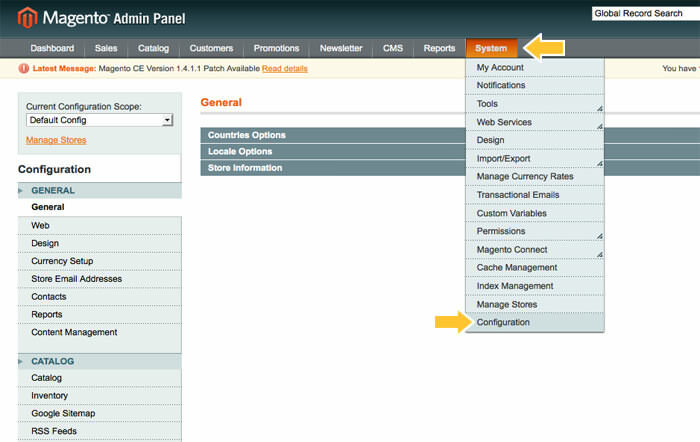 From your store's Admin Panel home screen, click System from the top navigation toolbar. Select Configuration from the drop down list. 5. Under Configuration, click Design in the leftside navigation. 6. In the Design Editor, scroll down to the Footer section and locate the Miscellaneous HTML text area. Paste the bot widget code into the text area. 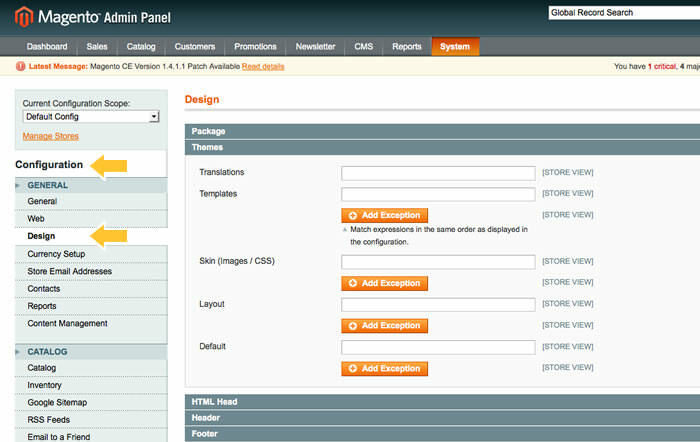 Be sure to click Save Config, then go to your Magento store front to check out your Bot Widget.